You agree not to access (or attempt to access) any of the services available on the Fireman Roofing Sites (the “Services”) by any means other than through the interface that we provide, unless you have been specifically allowed to do so in a separate agreement with us. You specifically agree not to access (or attempt to access) any of the Services through any automated means (including, without limitation, use of scripts or web crawlers) and shall ensure that you comply with the instructions set out in any robots.txt file present on the Services. You acknowledge that the Fireman Roofing Sites have been developed, compiled, prepared, revised, selected and arranged by the Company and others through the expenditure of substantial time, effort and money and constitutes valuable intellectual property and trade secrets of the Company and others. It is our policy to enforce our intellectual property rights to the fullest extent permitted under law. The trademarks, logos and service marks (“Marks”) displayed on the Fireman Roofing Sites are the property of the Company or third parties and cannot be used without the written permission of the Company or the third party that owns the Marks. The Site is also protected as a collective work or compilation under U.S. copyright and other foreign and domestic laws and treaties. Users are prohibited from using (except as expressly set forth herein), transferring, disposing of, modifying, copying, distributing, transmitting, broadcasting, publicly performing, displaying, publishing, selling, licensing, or creating derivative works of any content on the Fireman Roofing Sites for commercial or public purposes. Nothing contained herein shall be construed by implication, estoppel or otherwise as granting to the user an ownership interest in any copyright, trademark, patent or other intellectual property right of the Company or any third party. The Company exclusively owns all worldwide right, title and interest in and to all documentation, software, contents, graphics, designs, data, computer codes, ideas, know-how, “look and feel,” compilations, magnetic translations, digital conversions and other materials included within the Fireman Roofing Sites and related to the Fireman Roofing Sites and all modifications and derivative works thereof, and all intellectual property rights related thereto. You agree that you will not engage in any activity that interferes with or disrupts the Fireman Roofing Sites or the Services (or the servers and networks which are connected to the Services) or use any service to manipulate your CPU to gain distinct advantage on any of our programs. Accounts that have not been logged into for six months or more are deemed inactive and Fireman Roofing earned in these accounts are null and void. “Fireman Roofing” are non-transferable and are void if a transfer is attempted. “Fireman Roofing” and/or rewards may not be bartered or sold. Fireman Roofing and/or Fireman Roofing accounts are not transferable upon death or as part of a domestic relations matter or otherwise by operation of law. If you violate the Terms, the Company reserves the right in its sole discretion to issue you a warning regarding the violation or immediately terminate or suspend any or all accounts you have created using the Services. You agree that the Company need not provide you notice before terminating or suspending your account(s), but it may do so at any time. Any account or accounts that are terminated shall be deemed null and void and any and all information relating to such account(s) shall revert to or become the sole property of the Company, including but not limited to Fireman Roofing™ virtual currency or any points, prizes, awards or credits, regardless of monetary value, except to the extent prohibited by applicable law. Fireman Roofing reserves the right to refuse access to the Services without notice for any reason, including, but not limited to, a violation of the Terms. You agree that Fireman Roofing may discontinue the Service or change the content of the Service at any time, for any reason, with or without notice to you, without liability. You agree that your use of the Services shall be at your sole risk. Subject to you rights under any Consumer Law referred to below and to the maximum extent permitted by law and unless restricted or prohibited by law, the Company, its officers, managers, directors, employees, and agents disclaim all guarantees, warranties and conditions, express or implied, in connection with the Services, the Fireman Roofing Sites and your use thereof including implied guarantees or warranties of title, merchantability or acceptable quality, fitness for a particular purpose or non-infringement, accuracy, authority, completeness, usefulness, and timeliness. Subject to you rights under any Consumer Law referred to below and to the fullest extent permitted by law, the Company makes no warranties, conditions or representations about the accuracy or completeness of the content of the Services of the content of any sites linked to the Services and assumes no liability or responsibility for any (i) errors, mistakes, or inaccuracies of content, (ii) personal injury (including death) or property damage, of any nature whatsoever, resulting from your access to and use of the Services, (iii) any unauthorized access to or use of our secure servers and/or any and all personal information and/or financial information stored therein, (iv) any interruption or cessation of transmission to or from the Services, (v) any bugs, viruses, trojan horses, or the like which may be transmitted to or through the Services by any third party, and/or (vi) any errors or omissions in any content or for any loss or damage of any kind incurred as a result of the use of any content posted, emailed, transmitted, or otherwise made available via the Services. Subject to your rights under any Consumer Law referred to below and to the maximum extent permitted by law, and unless restricted or prohibited by law, in no event will the Company, its directors, managers, officers, agents, contractors, partners and employees, be liable to you or any third person for any special, direct, indirect, incidental, special, punitive, or consequential damages whatsoever including any lost profits or lost data arising from your use of the Fireman Roofing Sites, the Services or other materials or content on, accessed through or downloaded from the Services, whether based on warranty, contract, tort (including without limitation negligence), or any other legal theory, and whether or not the Company has been advised of the possibility of these damages. The foregoing limitation of liability shall apply to the fullest extent permitted by law in the applicable jurisdiction. You specifically acknowledge that the Company shall not be liable for user submissions or the defamatory, offensive, or illegal conduct of any third party and that the risk of harm or damage from the foregoing rests entirely with you. The Company will not be liable for the termination of the Fireman Roofing program on any account whatsoever including (without limitation) any awards, points, prizes or credits in a member’s favor at the time of termination. You agree that we are not responsible for the loss of Fireman Roofing™ virtual currency or any points, prizes, awards or credits, regardless of monetary value, in the event there is any data or server error, computer and/or network system error or failure, criminal act, vandalism, cyber attack or other events which make it commercially unreasonable for us to determine the value of any account or accounts. All guarantees, conditions and warranties whether expressed or applied, as to the condition, suitability, quality, fitness or safety of any goods and services supplied under the Fireman Roofing program, other than those implied or imposed by statute, are excluded to the extent permitted by law. 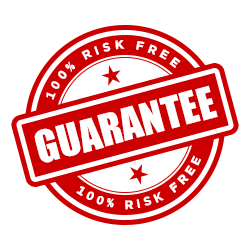 All guarantees and warranties implied or imposed by statute are excluded to the extent expressly permitted by statute. The Fireman Roofing Sites are controlled, operated, and administered by the Company from its offices within the United States of America. The Company makes no representation that materials on the Fireman Roofing Sites are appropriate or available for use at other locations outside of the United States and access to them from territories where the contents or products available through the Fireman Roofing Sites are illegal is prohibited. You may not use the Fireman Roofing Sites or export the content or products in violation of U.S. export laws and regulations. If you access Fireman Roofing Sites from a location outside of the United States, you are responsible for compliance with all local laws. Software downloaded from Fireman Roofing Sites is further subject to United States Export Controls. No software from Fireman Roofing Sites may be downloaded or exported (i) into (or to a national or resident of) Cuba, Iraq, Libya, North Korea, Iran, Syria, or any other country to which the United States has embargoed goods; or (ii) anyone on the United States Treasury Department’s list of Specially Designated Nationals or the U.S. Commerce Department’s Table of Deny Orders. By downloading or using the software, you represent and warrant that you are not located in, under the control of, or a national or resident of any such country or on any such list.